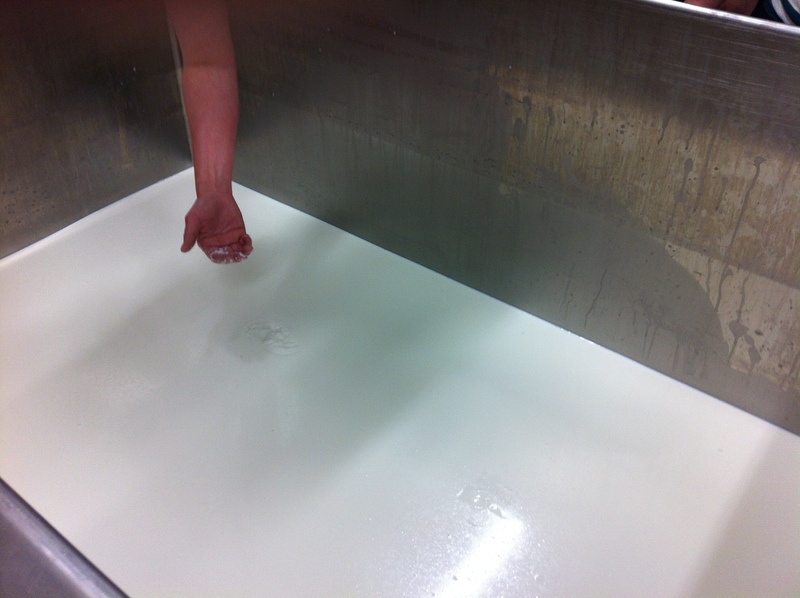 As much fun as we had touring the aging rooms at Monforte Dairy, we also got down to business and made some cheese. 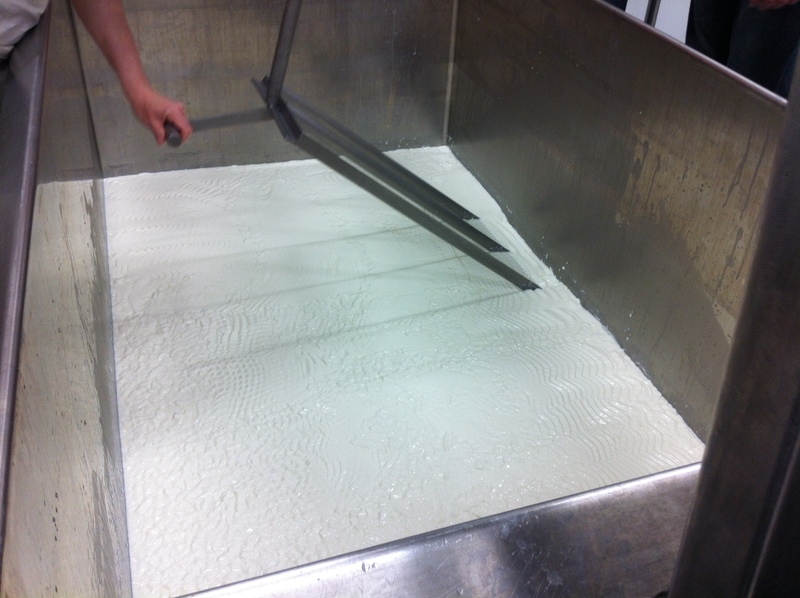 Char is a strong and devoted cheesemaker at Monforte. 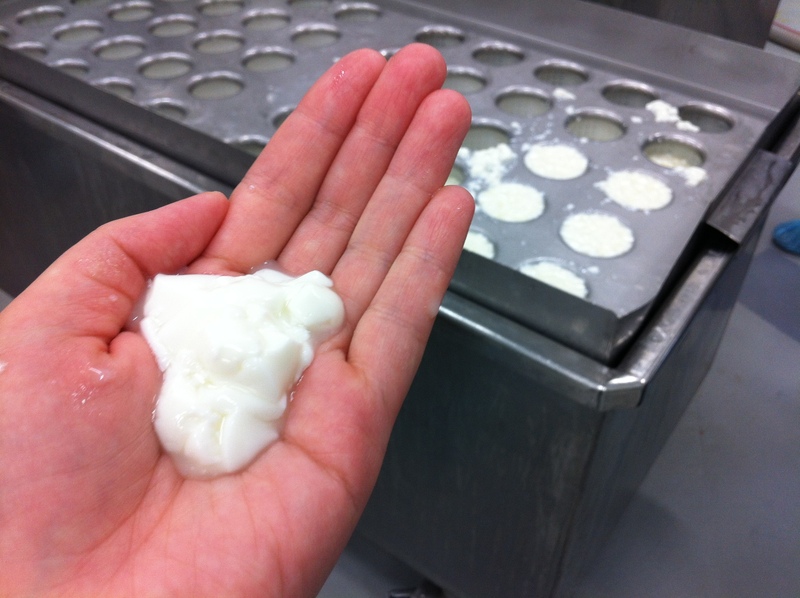 She took us in hand for the day to show us the process of making Monforte’s Black Sheep cheese, a sheep’s milk cheese with a bloomy white rind and a black ash coating. 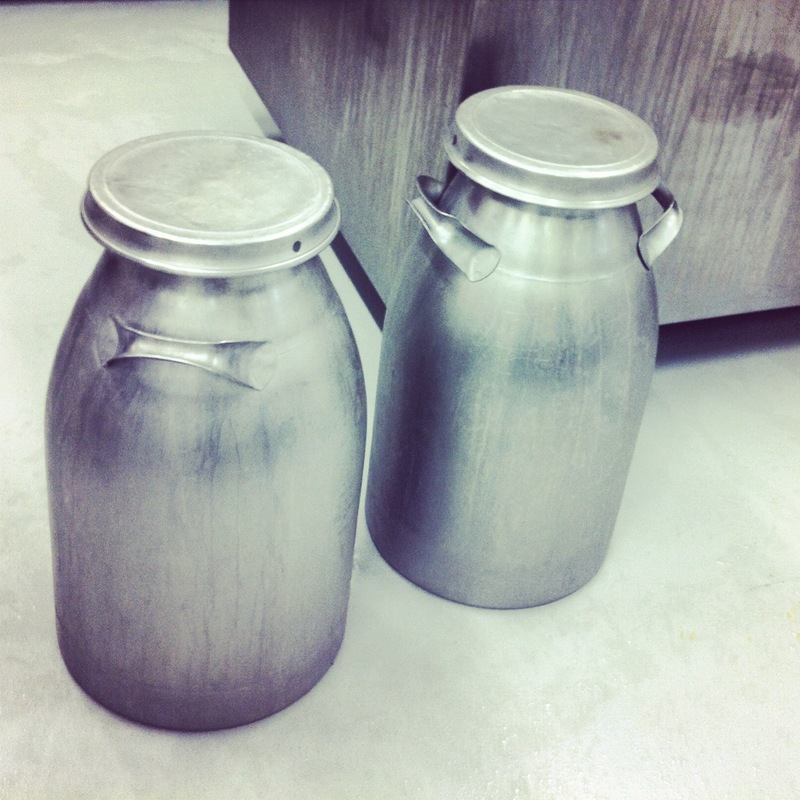 And contain sheep’s milk from local farmers, who take care of their happy sheep according to their natural cycles. This means that instead of producing milk all year round, the sheep only produce milk from spring to fall. The sheep are fed on hay & grass, instead of fermented feed or GMO corn. 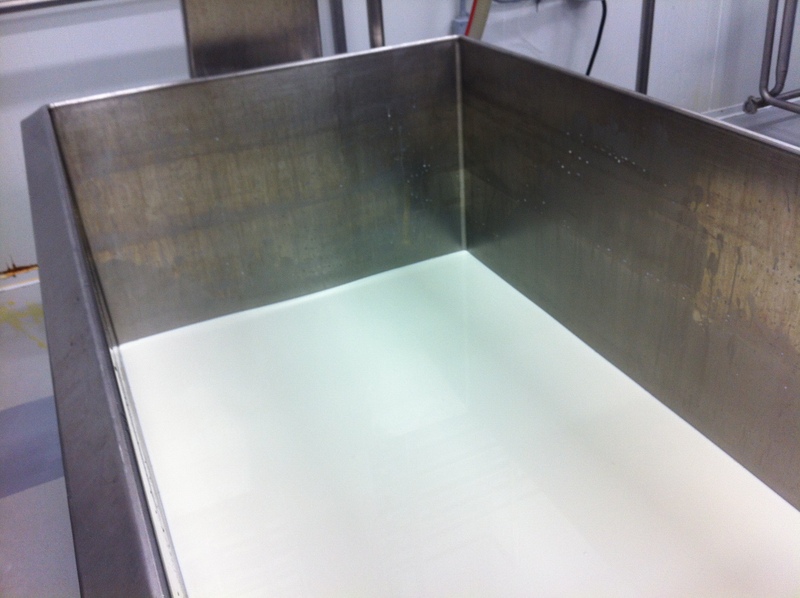 And the cold milk smells fresh and grassy. 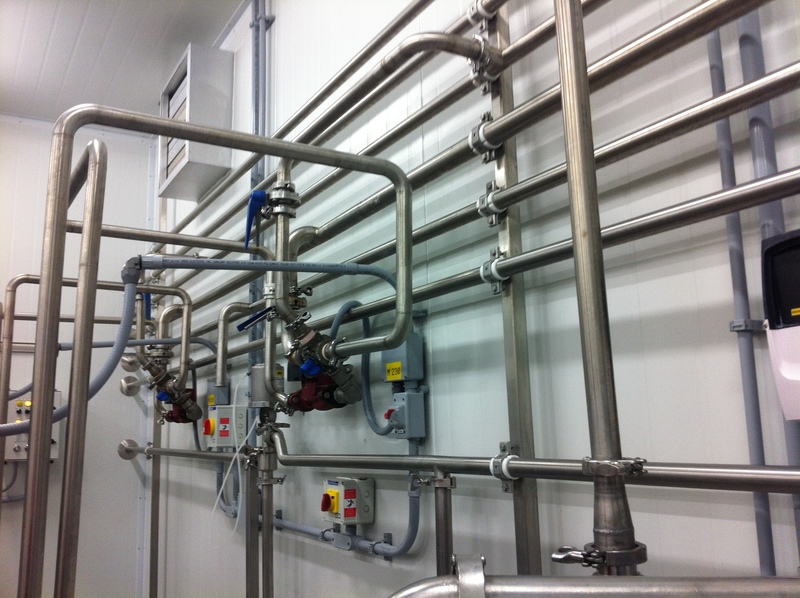 The metal vats have water pipes running through them, which means you can pump in hot water to heat the vat of milk quite quickly. I think this would make excellent bathtub technology, so all of you inventors should get on it (you should also ask me about my hydraulic step stool technology). We heated the cheese to just the perfect temperature (around 90F or 32C for this mesophilic cheese), and then added the vegetarian rennet (which helps coagulate the cheese — separating the solid curds that become cheese from the liquid whey that gets discarded), along with the appropriate cheese culture (which makes different cheeses taste how they’re supposed to taste), and salt (just straight sodium chloride), according to the recipe. 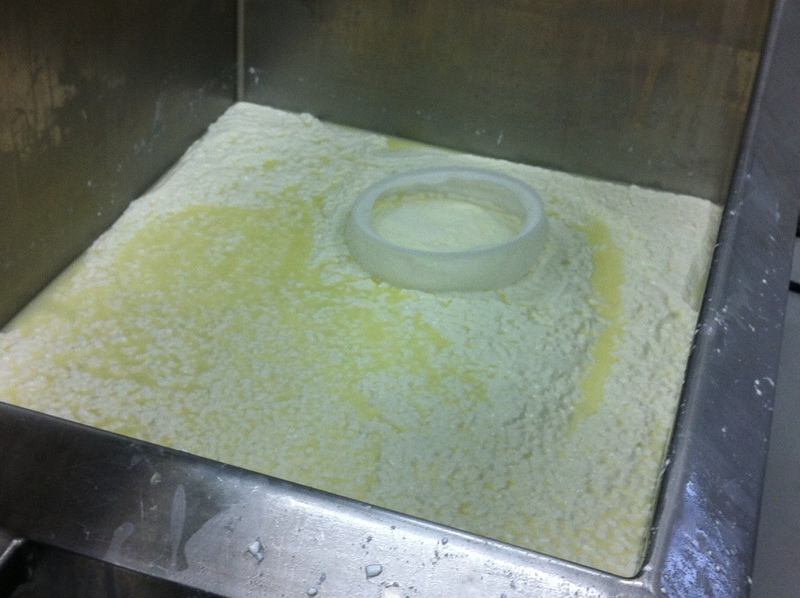 At which point, the vat still looks like a vat of milk with some tiny fat globules floating on the surface. 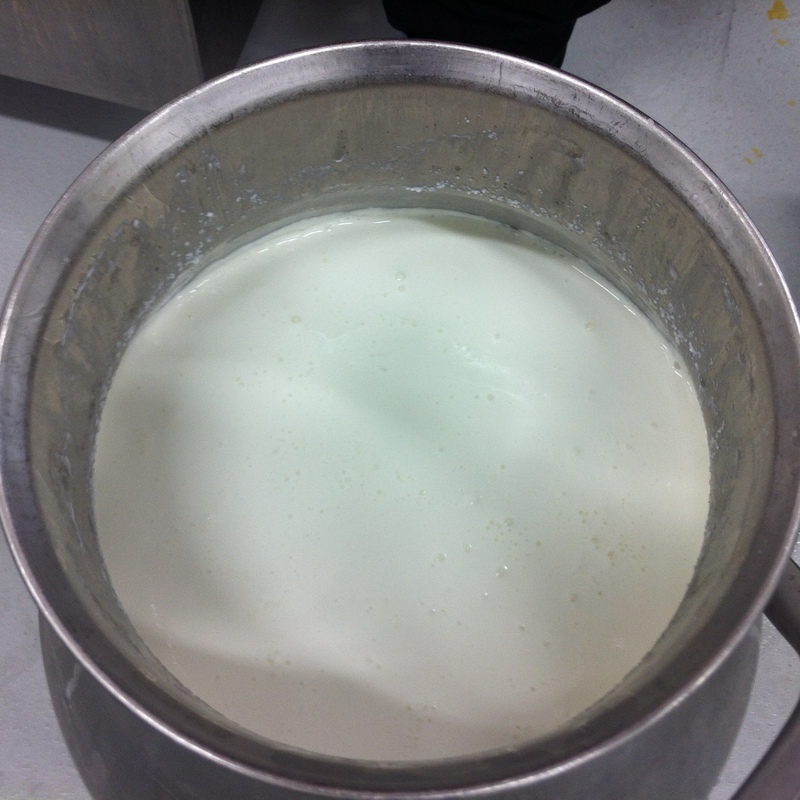 But… the heat and the rennet are doing their jobs, and the milk is starting to turn from milk into cheese. 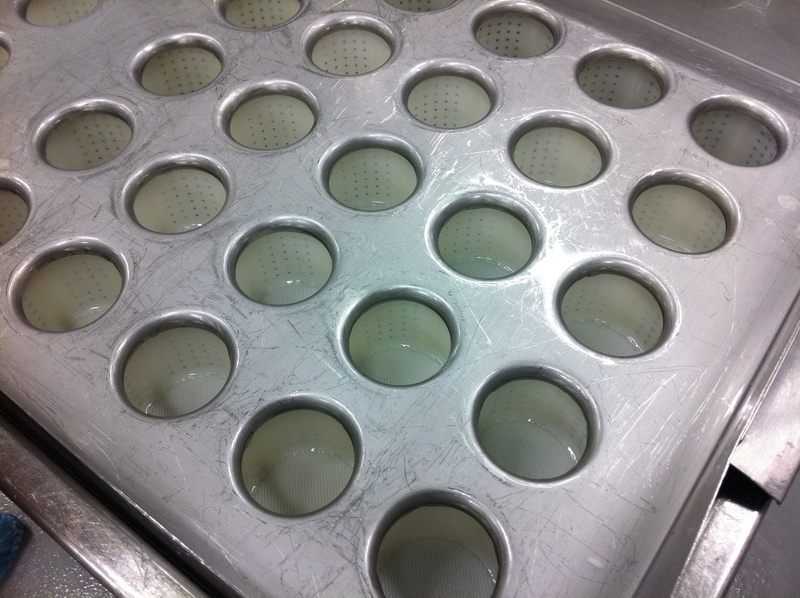 The fun part is testing the consistency by scooping your hand into the vat — it’s perfect when it feels like crème caramel or silken tofu, and breaks into a couple wobbly pieces under your fingers. And yes, I totally got my hands into the vat to test it out. Once it’s *just right*, you get to cut the cheese. 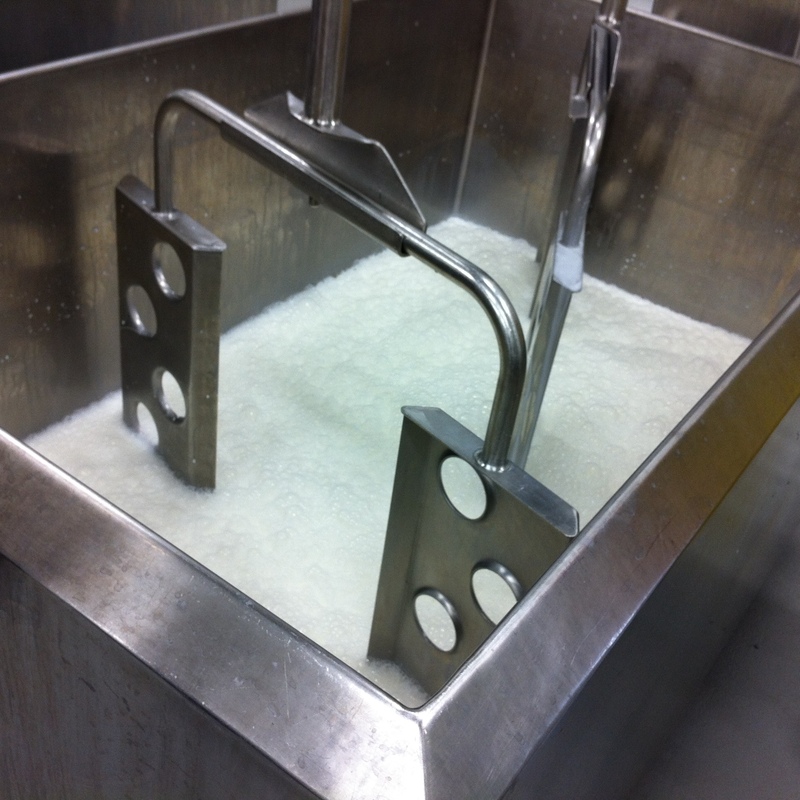 With big metal harps (wired cheese cutters) that scrape through the vat horizontally and vertically, creating little cubes of cheese curds. 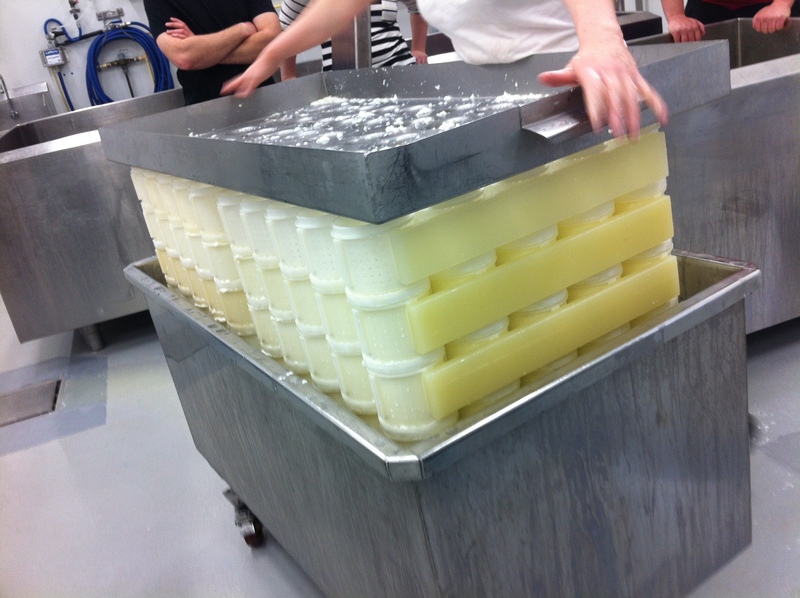 And then get ready… because all of those cubed curds have to end up in these molds. 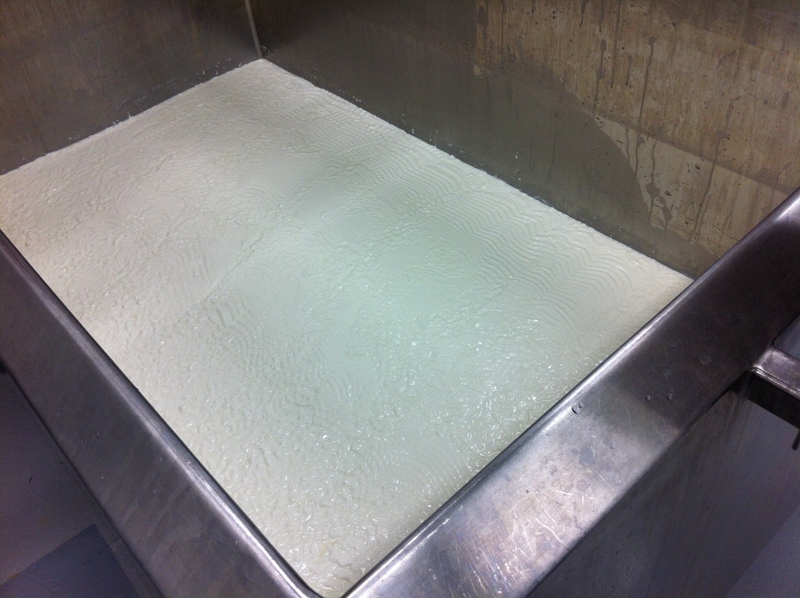 And at the end, you have to all but climb in the vat to get the last few curds at the bottom, before draining out the leftover whey. 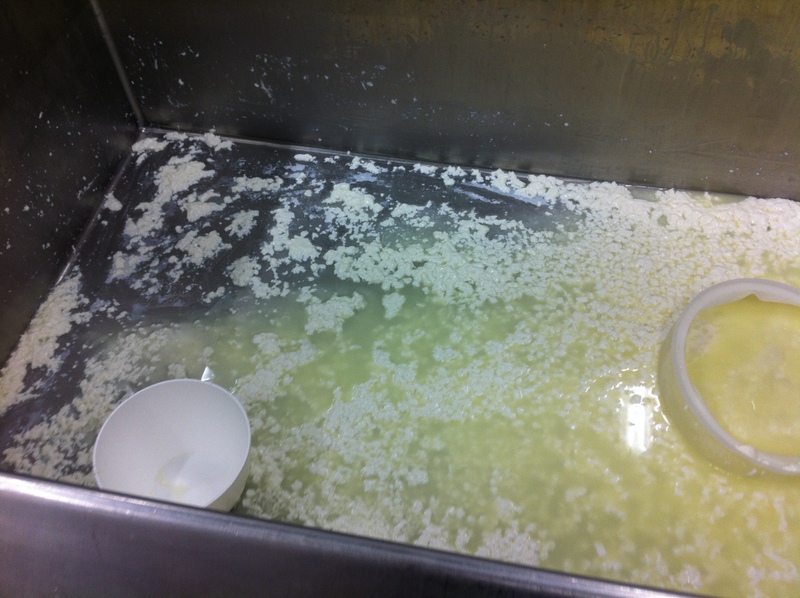 A lot of cheesemaking is actually cleaning. And carrying heavy things. 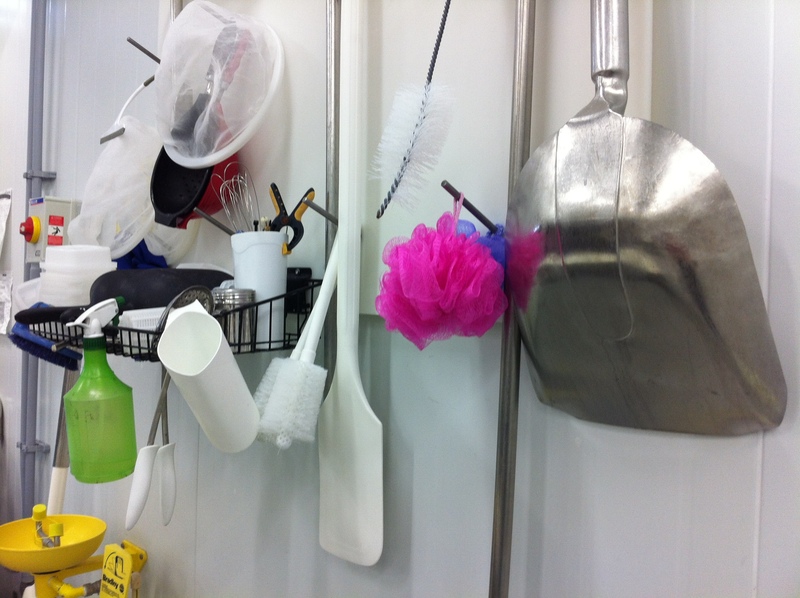 Each piece of equipment gets wiped down EVERY TIME IT’S USED, and you have to sterilise your hands in a chlorine solution any time you touch anything. 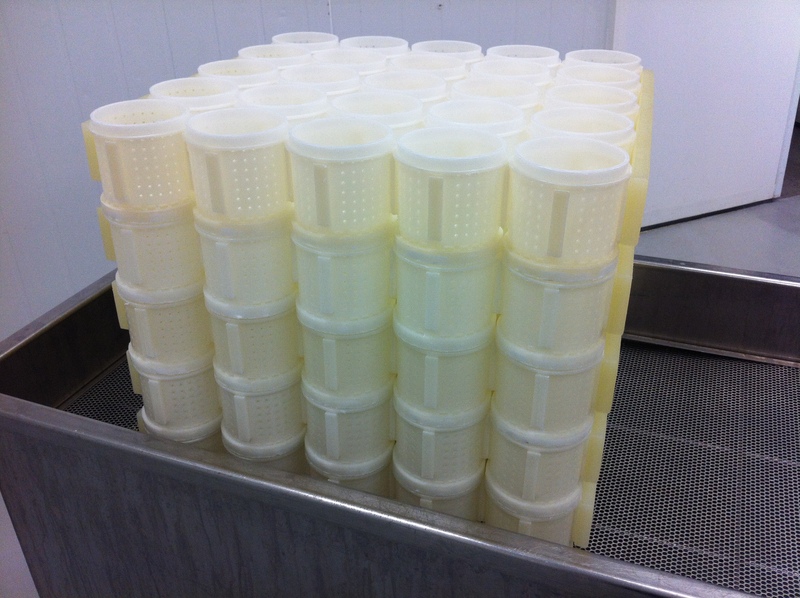 Before any piece of equipment touches the milk or the cheese, it also needs to be sterilised. 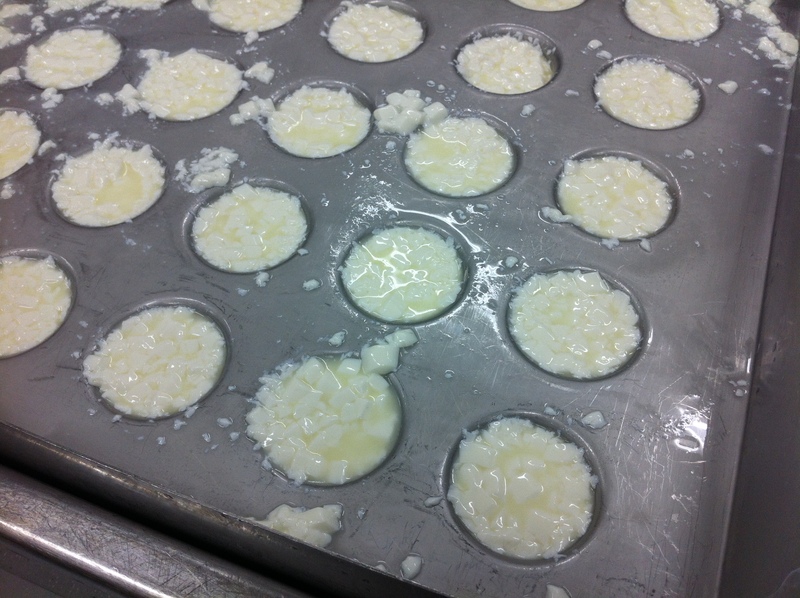 And then we flipped them all over, and left them to sit to press under their own weight. 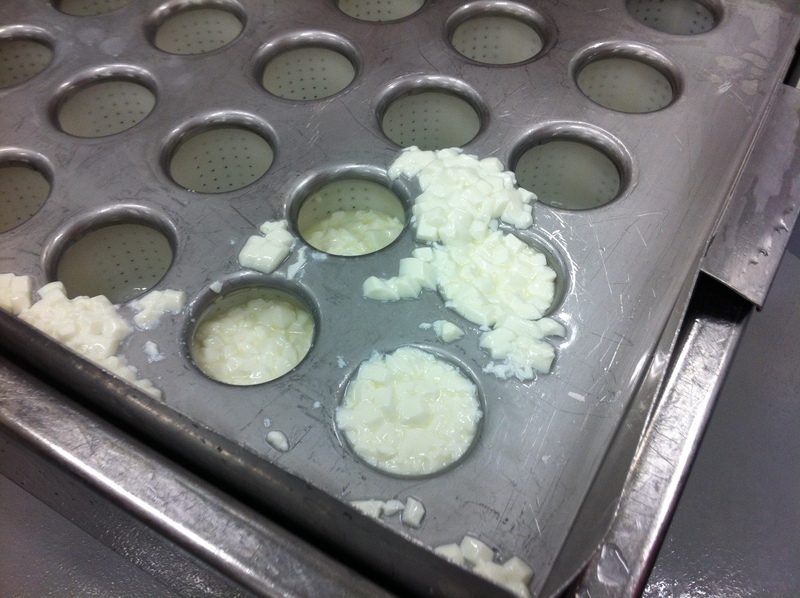 You can see these molds looked half full by the time we left… that’s the curds condensing down and the whey draining out of the molds to make a solid cheese. We left our cheeses behind at this point, and we get to see our week-old cheeses on Saturday — when they’ll show up to class as rounds (like Camembert) that have been coated with ash. 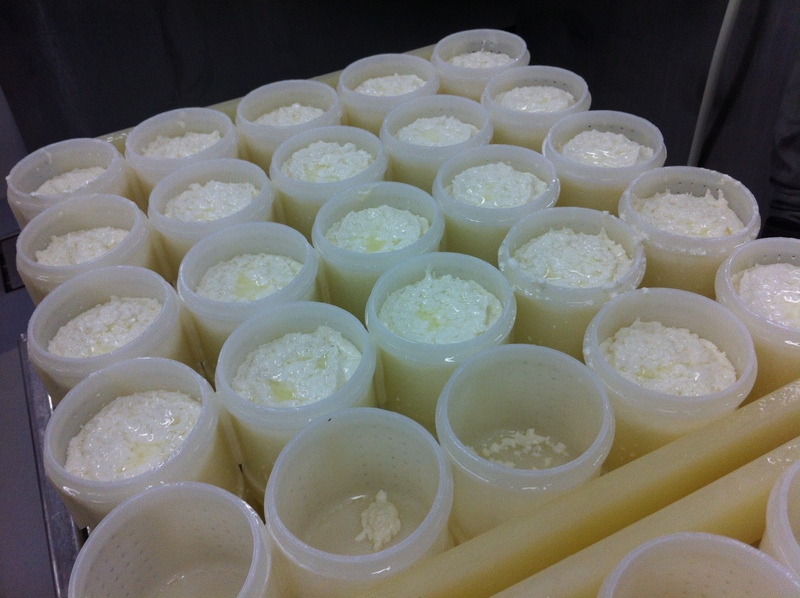 Then we get to take home our cheeses and raise our cheese babies according to the affinage principles we’ve already learned, controlling temperature & humidity. Stay tuned for cheesy updates!